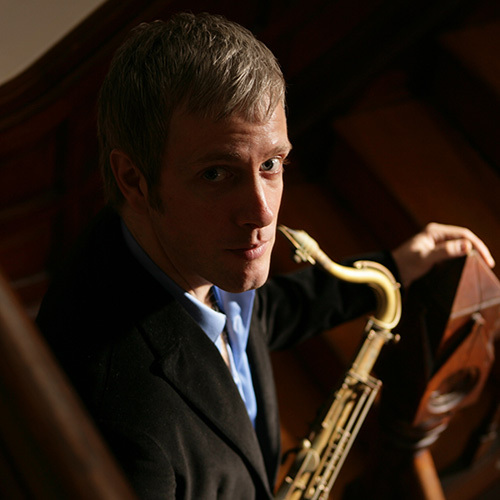 Visiting NYC tenor saxophonist Grant Stewart leads a 2 hour long saxophone and jazz improvisation workshop featuring the latest improvisational techniques from New York. The workshop is open to musicians of all levels and all instruments but would be particularly beneficial to those who can already do some improvising. This would be great for any musicians, amateur to professional, wanting to develop and further improve their jazz playing. Grant has established himself as one of the leading figures on the world's straight ahead jazz scene, regularly touring around Europe and Japan as a soloist, and heavily featured as both leader and sideman on Dutch record label Criss Cross' catalogue of modern classic jazz recordings. Hailing from Toronto, Canada and having moved to New York as a teenager to make his name on the jazz scene there, he studied with masters such as Donald Byrd and Barry Harris. He is known for being strongly influenced by Dexter Gordon and Sonny Rollins in particular. In his career to date, he has performed internationally with the likes of Jimmy Cobb, Louis Hayes, Clark Terry, Bill Charlap, Brad Mehldau, Russell Malone, Larry Goldings, Peter Bernstein, Herb Geller and was a member of the last Al Grey Sextet. Starting in 2008, Stewart has consistently been voted a “rising star on the tenor” in the Downbeat Critic’s Poll and was the subject of a feature in JazzTimes magazine. Downbeat magazine has also featured Grant in a piece written by noted jazz writer Ted Panken. On the international front Stewart was named one of the top 3 tenor saxophonists by the noted jazz magazine Swing Journal.